Adam LaClave, Roy Mitchell, and Paul Meany. Earthsuit's stellar debut, Kaleidoscope Superior, is a musically innovative melting pot that, like America, somehow holds together despite the diversity. Produced by David Leonard (Indigo Girls, John Mellancamp, Toto, Oingo Boingo, Prince), Kaleidoscope Superior succeeds by weaving its seemingly disparate elements through the whole project rather than changing styles from track to track. Something of a retrospective debut, the project encompasses Earthsuit's newly written material, as well as a sampling of the more seasoned compositions they began creating as far back as five years ago. Songs like the jazzy, hip-hoppish, pop gem "Whitehorse", (which takes so many left turns musically that it winds up back where it started), express that hunger in an almost palpable way. Superimposing apocalyptic imagery over day-to-day reality, "Whitehorse" creates a dreamy, harmonic soundscape that looks not so much to the Son of God's eventual return, as to his constantly abiding presence. Honing their chops during a year and a half span as nightly performers in a New Orleans Bourbon Street coffee house, Adam and Paul not only began to experiment with their eclectic hybrid of pop music, but they began to meet other musicians who's artistic visions mirrored their own. Guitarist Dave Rumsey and Bass player Roy Mitchell eventually joined the lineup, as did drummer David Hutchison. The band so seldom ventured out of their New Orleans haunts, however, that when they were eventually discovered by a Sparrow label rep at a summer music festival in 1999, it was as if they had come out of nowhere. 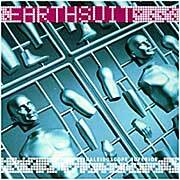 Earthsuit was arguably the best-kept unsigned secret in recent music history. 5: Do You Enjoy The Distortion? Yo, I think Earthsuit is awesome! Their music has a special tweak to it that touches me. My favorite song is "Onetime". That song is awesome. Especially when they do that do re me fa re part. How can they do that? They are awesome! Hey, how's it goin? I love the group earthsuit. They are clearly very talented. I have however, some concerns. "One Time" and "Said The Sun To The Shine"-just to mention two don't have a clear message. Could you fill me in on what they are about. Also, the word "damn" in your lyrics of Against the Grain should be spelled "Dam". I would really appreciate it if you could give me some feedback. HEY I THINK EARTHSUIT ROCKS. ITS SO DIVERSE YOU CAN'T REALLY CATERGORIZE IT INTO JUST ONE PLACE CAUSE ITS ALL OVER THE PLACE. I THINK THEY HAVE POTENTIAL OF BECOMING ONE OF CHRISTIAN ROCK'S HOTTEST BANDS. Earthsuit in my opinion is one of the best bands in the industry. 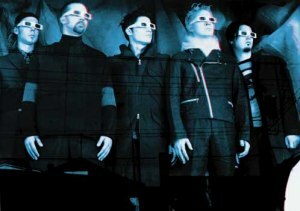 Their music rocks; it's so unique and creative...their lyrics too. They show a true love for Jesus in their music that's rare in a lot christian artists. I love everything about them! Earthsuit are so good! I went and saw them @ Sonfest in Boonah. They have so much potential and could really get right up in to the top 5 christian bands. You can see that they aren't just playing for themselves but for Jesus and I really think that he is going to bless them so much in their life.